An intriguing journey exploring the city of Fukuoka, a blend of modern and traditional, on an enjoyable sightseeing tour that includes a famous shrine in Dazaifu, lying in the midst of a beautiful garden. A delicious lunch at a restaurant and a spot of shopping in a vibrant district of Fukuoka make this experience even more enjoyable. 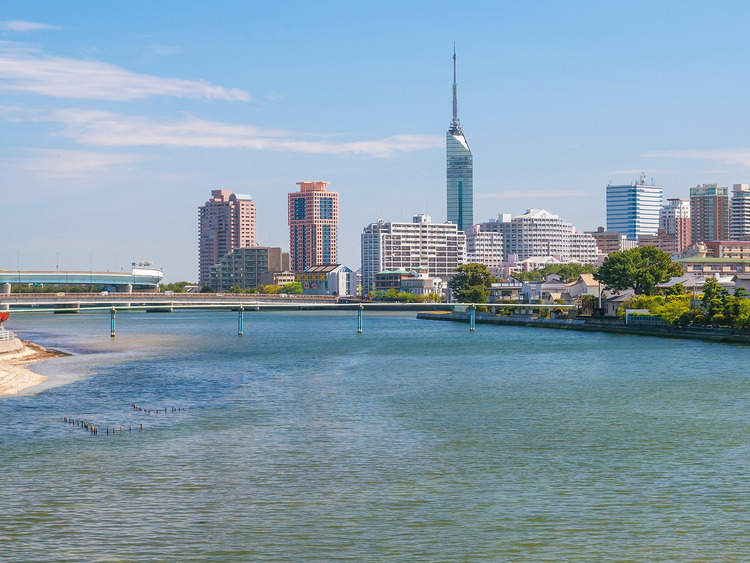 We leave the port by coach and embark on a sightseeing tour of Fukuoka, a modern city which still preserves a rich heritage of history and tradition. Along the way, we will have the chance to admire Fukuoka Tower, which soars 234 metres high, making it the tallest coastal tower in Japan. Erected on the Momochi seafront, it was built in 1989 to commemorate the centenary of the foundation of the modern city. We will then reach the city of Dazaifu, where we will stop to visit the Dazaifu Tenman-gu Shinto shrine, dedicated to poet Tenjin, the deity of learning who is buried here. The temple is surrounded by a vast, tranquil garden containing 6,000 Japanese plum trees, once revered as cherry trees are today. Walking amidst the age-old trees and crossing bright red bridges over streams will enhance our sense of peace and wonder. It is now time for a relaxing break in a restaurant where we can enjoy a delicious lunch. We will then head back to Fukuoka and make one last stop in the lively district of Tenjin, where we have two hours of free time for some shopping before heading back to the ship.